Mainly responsible for the researching blockchain technology, and the development of the main blockchain code, the cryptocurrency and the construction of the wallet function in the asset trading platform. He also develops Android Rexx wallet and Android sdk. Familiar with Android SDK/NDK, have added Android application development points, have sound understanding in Rxjava, Retrofit.mvvm, android clean architecture, data structure, algorithm, operating system and distributed computing, etc. Understands Bitcoin, Ethereum related development and mainstream consensus algorithms, understand the purpose of blockchain. Product prototyping designer, responsible for designing Rexx product prototyping. 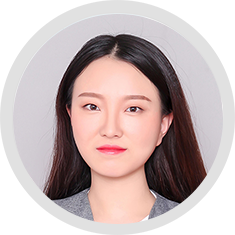 She understands blockchain, and familiar with the blockchain wallet process, and responsible for organizing the product team to complete the implementation of the product. Familiar in Axure, MockingBot, Xmind, Mockplus, Adobe XD CC and other software to complete the prototype design. The features of the product will be updated so it can optimize and enhance the user experience. 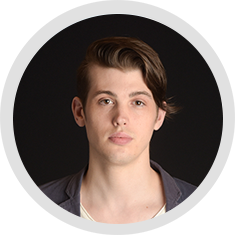 Responsible for Rexx wallet and SDK development of IOS. Sound understanding of Objective-C, Swift; familiar with ReactiveCocoa responsive programming framework. He also has SDK and IM related development experience. Experienced MVC, singleton, MVVM, proxy, notification and other design patterns; familiar with TCP / IP principles, HTTP, SOCKET and other network programming; Cocoa and commonly used framework; multi-threaded JSON / XML data analysis, SQLite, FMDB and other databases. 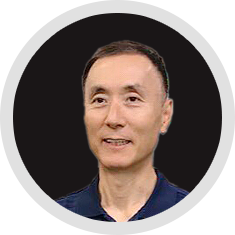 He is also experienced in memory management and runtime operation mechanism of Objective-C. Responsible for the operation of Rexx, makes plans and activity strategies by understanding the user needs. Communicates with users, and solve problems by making feedbacks. 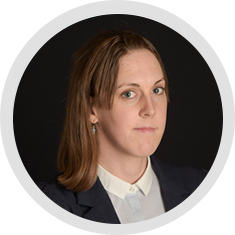 She also has good copywriting skills and data analysis skills, so she can adjust the operational strategies and optimize the brand image. The goal is to make Rexx a better and more user-friendly blockchain product for wider use. 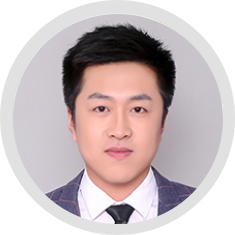 With many years of experience in blockchain project development, he has developed more than 10 blockchain software. Experienced in writing smart contracts. Familiar with solidity, JAVA/Go/nodejs, Hyperledger fabric; linux. docker, kafka, zookeeper and other components. Understands the operating principle of Ethereum, research source codes. Experienced in distributed consensus, distributed network, application cryptography, and encryption algorithms. Mainly responsible for developing Rexx node consensus, mining algorithms and Node.js SDK. Familiar with the mainstream consensus algorithms such as POW, POS, DPOS, BFT, PBFT, etc. and has deep understanding in bitcoin, Ethereum, EOS and so on. 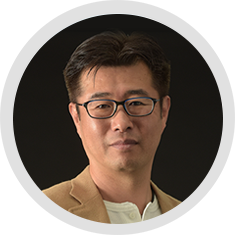 He is also experienced in developing distributed ledger, P2P network, and blockchain identity authentication. Experienced in UNIX, LINUX, Express, Hbs and shell programming. Experienced in distributed caching framework, Redis, MySQL, and have a deep understanding of asynchronous mechanism. A front-end web development engineer. Keen on the studying consensus algorithms. Good at handling high concurrency and proficient in various network protocols. 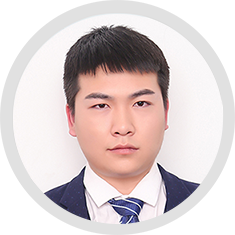 He has participated in building e-commerce platform and has a deep understanding and practical experience in the development of network transactions. Familiar with the characteristics of distributed storage and P2P networks. Responsible for the development of the web wallet of the Rexx main chain and the main chain browser. Mainly uses Vue front-end framework, element-ui, when developing REXX main chain to give users a better experience. Mainly responsible for the development and maintenance of the IOS version of the HelloPay wallet. Familiar with the blockchain technology, developed more than 10 wallet applications. 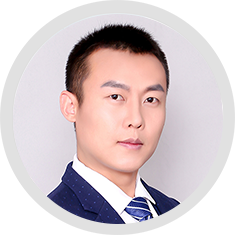 He is also very experienced with all kinds of main chain, including ETH, EOS and BTC. Familiar with data structure, algorithm, Swift, Objective-C language, multi-threaded, Socket, HTTP, RPC and other network protocols. 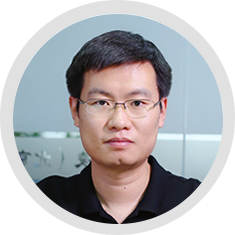 Main development engineer for the Rexx main chain. Develops Rexx main chain source code, node deployment, SDK, writes smart contract, and publish and trade tokens. Familiar with the mainstream consensus algorithms in the blockchain project, including POW, POS, DPOS, etc. Fully understands the mainstream blockchain open source projects such as Ethereum, Bitcoin, EOS, etc., Rexx main chain will achieve transparency across industries, and have various platform for authentication, security, contracts, payments, and more. Kaetaru Technology Co., Ltd. recognizes that protecting all personal information, including personal information possessed by customers, is the foundation of the project, and has established the following policy for the protection of personal information. 1. We will obtain personal information by appropriate means. Also, except for cases based on laws and regulations, we notify the user before information is collected and will only use it within the scope of the purpose for which we agreed. We take appropriate measures to prevent your information from being used by outside sources. In addition, except for cases based on laws and regulations, we will never disclose and provide to third parties without your consent. Specific personal information will be handled only within the scope of the purpose of use based on laws and regulations and will not be disclosed or provided to third parties except in accordance with laws and regulations, regardless of whether the individual consents or not. 2. We will take appropriate safety control measures to prevent unauthorized access to personal information, leakage, loss, damage, falsification, etc. of personal information, etc. and correct it. 3. This website uses Secure Socket Layer (SSL), a highly reliable encryption transmission technology on the Internet, in order to protect the user’s personal information when sending and receiving an input form. 4. We will comply with laws and regulations concerning the handling of personal information, guidelines established by the country and other norms. 5. We will continuously strive to improve our management system in order to keep your personal information secure. Can do various things from system design, build the entire web system structure from the server side to the client side, infrastructure design for the cloud to project management. Developed a FX trading system, a core system and management screen of the virtual currency exchange, a market maker alone. 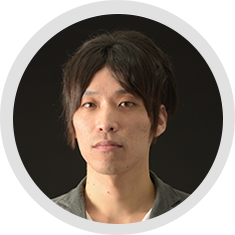 He also does general operations (planning, development, operation) related to smartphone games. 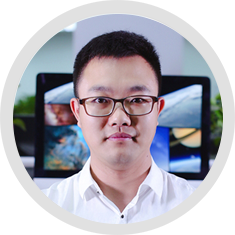 After securities company, cloud server management company, gaming company, and various freelance companies, he established and work as the CEO at Surges Co., Ltd.. 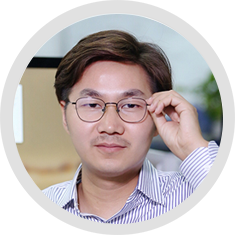 He has been in the developing in the blockchain industry since 2013. He has led more than 10 blockchain projects, with technical team of over 100 people in the past three years. The projects include bitcoin hard-forks, public chains, and applications. There are six blockchain projects on the mainstream exchanges. Technical experts with nearly 20 years experience in ENPIA, Java, J2EE and software development. Have important experience in SDLC activities, including analysis, development, unit testing, maintenance and support. Ability to draw requirements, customize design solutions, and solve problems for complex software and application problems. 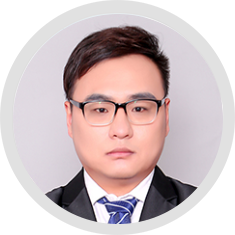 He is currently a consultant to the Korea Block Chain Technology Industry Classification and Adjustment Program, and is committed to promoting the development of Block Chain technology to ensure that the technology is widely used in many major station industries, such as game development, computer programming, hosting, decentralized exchanges, and DApps. The main designer of the Rexx UI. Five years of UI designing experience, experienced in various design related software. Participated in the designing multiple blockchain projects, mainly responsible for communicating and planning during the early stage of project development. She participates in designing, and has general idea of the style of the overall interface. We design from the users’ perspective, provide Rexx UI interface design solutions based on product and interaction design prototypes, and communicate with product managers and project developers to improve product’s visual design and improves product’s usability. A project member at Tiger Chain. 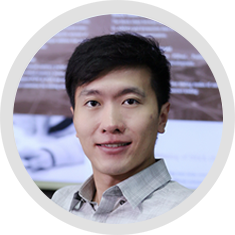 He has more than 5 years of experience on blockchain. He also gave birth to the NoBlove network architecture. 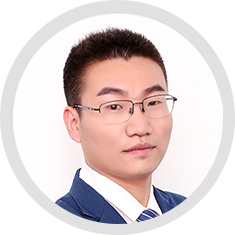 He participated in more than ten blockchain projects and has unique view towards consensus algorithm and token model design. Studied physics at St. John’s University, later receiving a masters at the University of Minnesota, where he spent his time doing numerical simulation. Since graduating, he has been living in Japan, working as a web engineer. 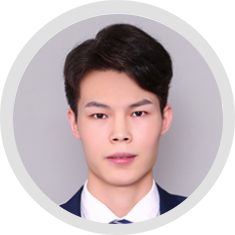 He is quite savvy with Ruby on Rails, enjoys both frontend and backend development, and has a growing interest in blockchain development and machine learning. He received a Ph.D. in artificial intelligence processing in Korea, and was the director of electronic communication system research at Korea Electronic Communication Research Institute. The main development business is based on the realization of the Internet of things, the basic understanding of technology development. Among them, the Korea/China/Japan voice automatic recognition development (UNicode/XML/TCP secket) and the large capacity/large vocabulary decentralized processing voice development are studying the use of Io technology T and block chain P2P (person to person) network financial and public service areas. Graduated from Kwantlen Polytechnic University, Canada with a bachelor’s in technology, which combines knowledge of both business and technology. 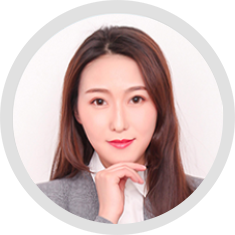 With skills from a new-age marketing style technology company and cutting-edge call center software startup company, she came to Japan, the heart of technology, having studied programming, worked as a scrum leader, completed self-driven IoT and supported customized software systems built from the ground up, she has the foresight and experience to help pave the way for block chain and new technology forward into the future. A member at Tiger Chain. An early blockchain researcher in China. He began to carry out blockchain projects with Chinese blockchain technology developers and completed the first pay reward chain system in 2014. 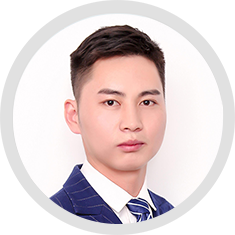 In 2016 he began to develop blockchain applications and designing blockchain economic model. 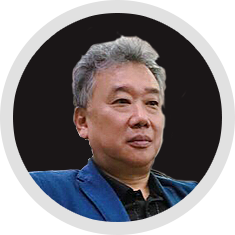 Now the CEO of ENPIA Corporation of Korea, the company has been developing block chain technology since 2015. The block chain encryption algorithm, consensus mechanism network security, distributed, point-to-point and other block chain technology areas have made in-depth research. ENPIA combines financial, legal and traditional Internet talents from Korea, and develops a block chain trading system and a super ledger system driven by block chain technology, which provides a strong technical support for the development of CCH main chain. After doing web development as a project manager at a start-up company for a few years, he decided to improve his skill as an individual. 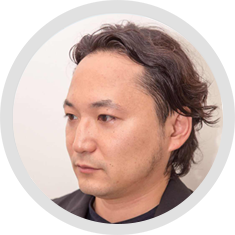 He participated in a cyber agent’s project as a freelancer and took over as CTO of Kaetaru Technology in 2018. 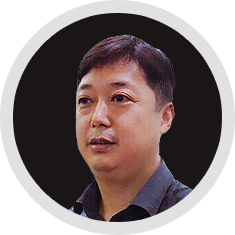 Since becoming CTO, he has engaged in all kinds of work related to blockchain such as creating coins and tokens, smart contracts, ICO planning, designing, and management, wallet development, and mining business. University of Science & Technology China, one of the early domestic block chain technology team architects, block chain technology senior developers, years of digital encryption money and block chain research, participated in and directed the development of multiple block chain projects, began to contact CBN in 2017, and then began to focus on the research of the CCH underlying chain and put R & D back on the research. The heart moves to the CCH community. Graduated from Reitaku University (Department of International Industrial Information) in Chiba Prefecture, Japan in 2002. 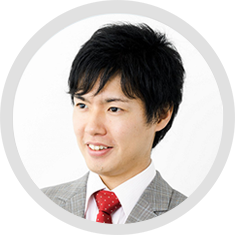 He developed financial systems at Tsubasa System Co., Ltd., Japan. Then became the operation manager of the Beijing Development team at Nomura Securities Co.,Ltd. in 2005. he was the. 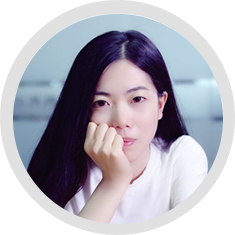 Familiar with the technology behind Bitcoin and Ethereum, and worked in blockchain firms for over 5 years, has experience with cryptocurrency development, and has unique view towards the future development of blockchain. Crypto currency fund manager and Foreign Exchange trader. I have a face of currency columnist & radio nikkei personality,Twitter Followers have about 20,000 people. In the CCH association, it is in charge of CC – token finance manager. He has been a business entrepreneur since the age of 20 and has been involved in a number of projects, mainly in management operations, on airplane licensing schools, trade, franchising, and resort development. 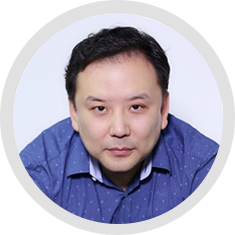 Since 2016, he has been involved in the establishment of venture companies related to block chain business and has been supporting the early stage. Since 2018, he has been engaged in the development of a new virtual currency (Asian Cript) by meeting with expert block chain engineers from Japan and China, aiming to build a new business model utilizing wallet, platform and smart contracts. He is pursuing a new value creation that does not tolerate the compromise to the world from Asia.